SEOUL, Dec. 3 (Yonhap) — Asan Mugunghwa FC, a football club facing disbandment, have been given an opportunity to compete in the second division pro football league next year, officials here said Monday. The K League, the operator of the South Korean pro football leagues, said after a board meeting that it decided to give Mugunghwa, currently run by South Korean police, a probation period to complete their switch to a municipal government-owned club. If Mugunghwa can transfer managements rights to a city government by Dec. 20, the K League said that they are allowed to compete in the second-tier K League 2. 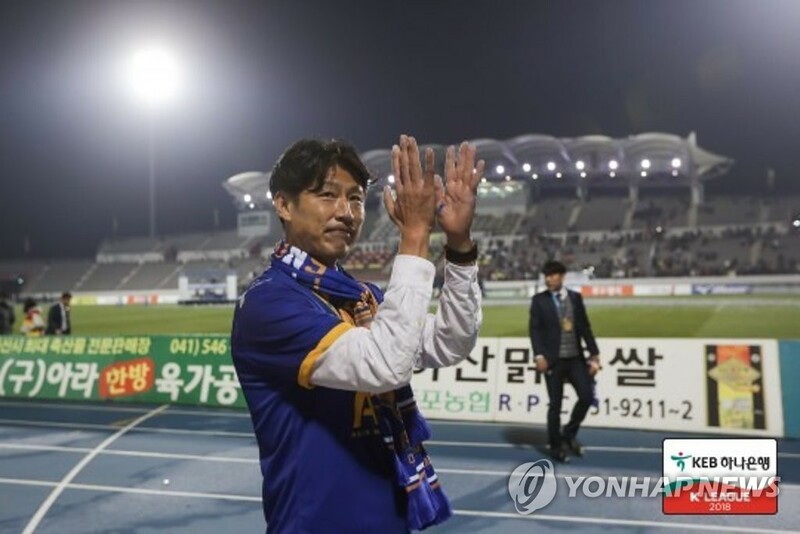 Mugunghwa won the K League 2 this year but were denied promotion to the first division after they failed to submit their recruitment plan for the 2019 season. To save the team from disbandment, there have been discussions on transforming Mugunghwa FC into a municipal government-owned club by transferring management rights to the Asan city government. Meanwhile, the league announced that it agreed to the early release of K League players for the national football team, which will begin its training for the Asian Football Confederation (AFC) Asian Cup next week in Ulsan.